The spring kitchen garden is full of promise right now. The seeds I planted a month ago have germinated, the first sets of leaves have survived bugs and slugs, and young plants are growing and thriving. Seeds I started indoors and set outside are growing too. 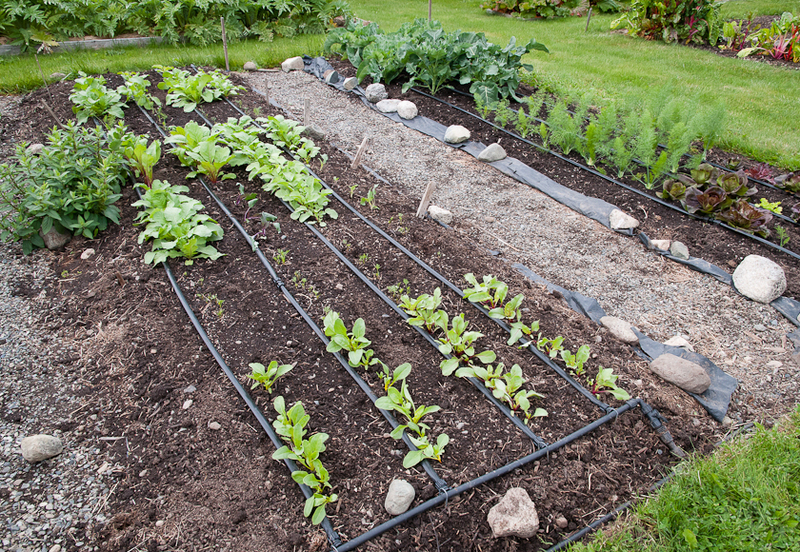 Though everything is still weeks away from maturity, this brief stretch between planting and harvesting offers a restful moment to admire the garden and anticipate the meals ahead. Red stems beneath light green beet leaves hint at the sweet, round roots to come. Turnips are in the same state of thriving tops but just the tiniest, earthy roots. Kohlrabi bulbs are even farther off. Only the fast-growing radishes have risen above the dirt, previewing what will come soon from the other roots. Feathery carrot tops are just a few inches high, no orange in sight, while taller fennel fronds rise above slowly swelling white bulbs. 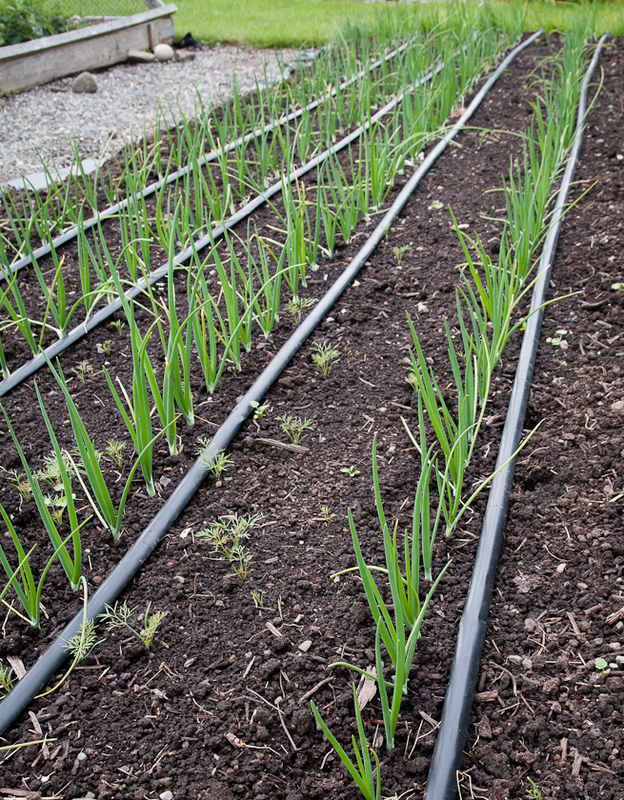 Onions look more like sturdy young scallions than the papery storage onions they’ll become and the potatoes are low, green rosettes at the bottom of their trenches, baby spuds a month or more away. 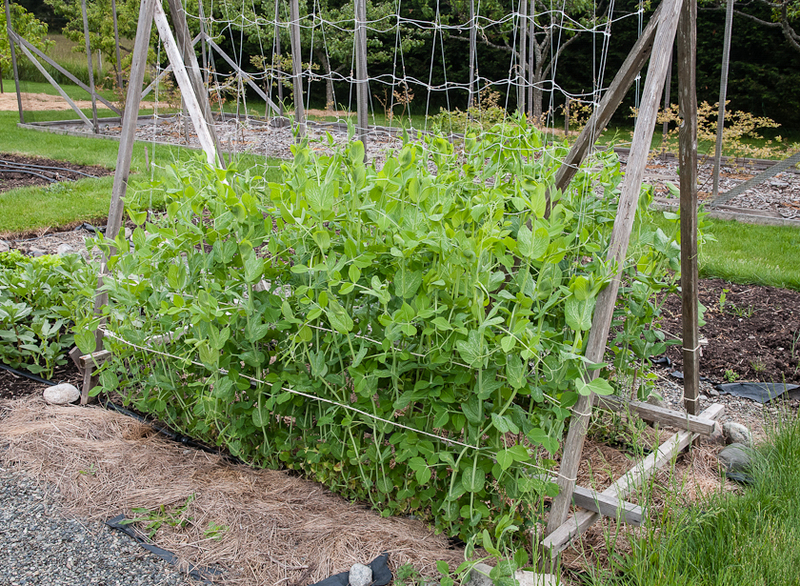 The sugar snap peas are three feet tall and climbing but show no blossoms yet. Broccoli and cauliflower plants are robust but haven’t formed their buds. It’s all foliage and no food but such beautiful foliage. 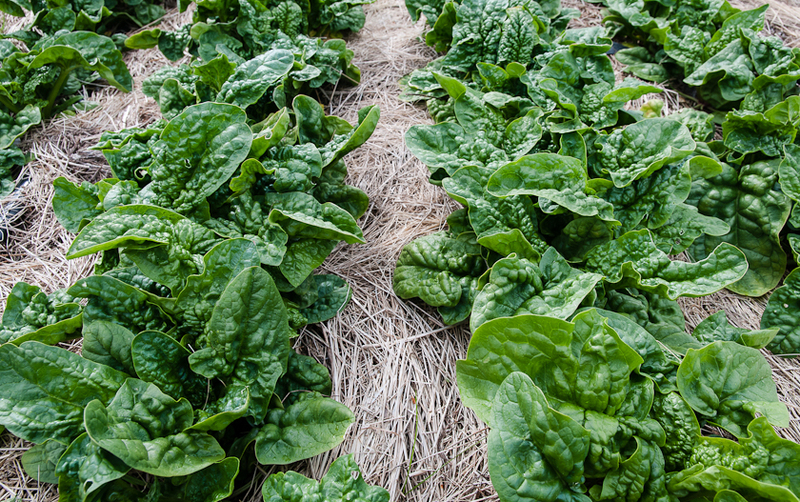 Against this fresh, spring foliage we’re grateful for several stands of over-wintered greens that are providing delicious meals as well as their own large-leafed beauty. Spinach planted late last September and chards and red mustard planted late last July all overwintered and have been putting out sweet, succulent leaves since March. The Bloomsdale Longstanding spinach has been especially good this year. 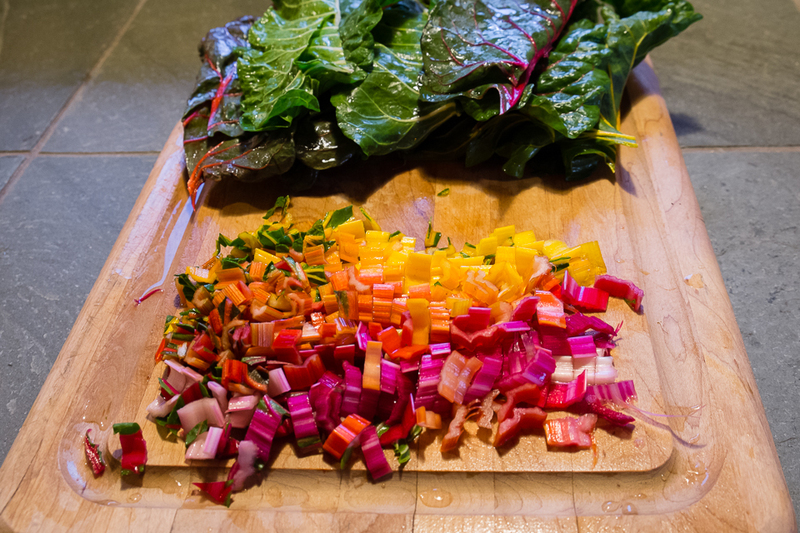 The smaller, early leaves were wonderful raw in salads and the larger, later leaves have been perfect for wilting and embellishing with other flavors. 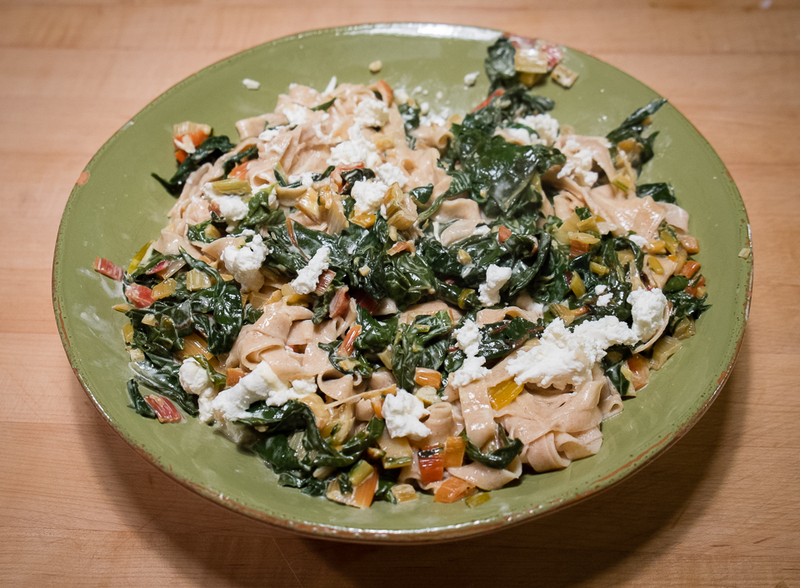 A favorite dish lately has been wilted spinach tossed with sautéed garlic and yellow raisins and topped with toasted hazelnuts and grated Parmesan cheese. It’s an elegant side dish but it’s also delicious mixed with ricotta, layered between slices of polenta and baked. 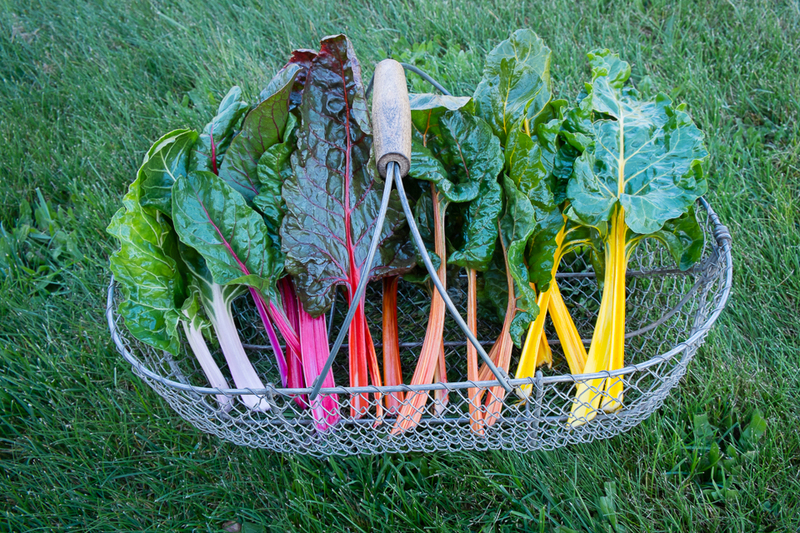 Overwintered Rainbow chard, along with Fordhook Giant and Rhubarb chard have all come on strong in the past few weeks. 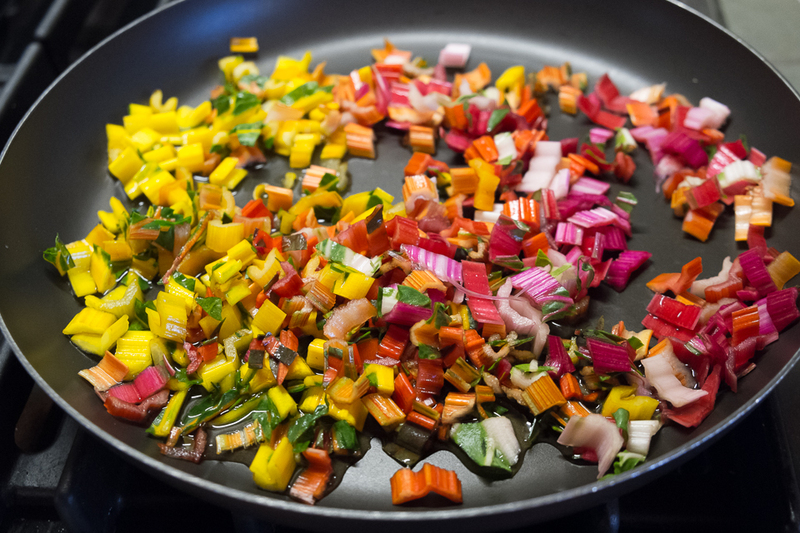 I cut the colorful stalks into half-inch pieces and steam them until they are crisp tender before adding the leaves and continuing cooking until both leaves and stalks are tender. 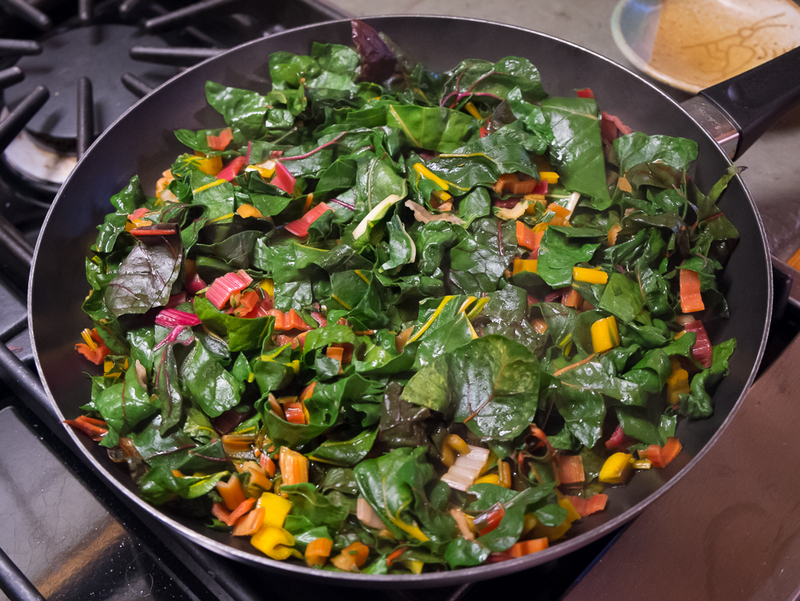 While many Indian spices as well as sautéed onion or garlic are good additions to chard, I most often serve it plain because I love the flavor of chard alone. I’ve written about wonderful red mustard already (https://lopezislandkitchengardens.wordpress.com/2012/04/04/red-mustard/) but I’ll add here that an additional treat is the sturdy mustard flower heads that have been forming this past week. Brushed with olive oil, sprinkled with a little salt and roasted in a 400-degree oven for 8-10 minutes, the leaves become crispy, the stalks soft, the pungent mustard flavor delicious. There is a lot to admire in the spring kitchen garden, both what has carried over from the winter garden and what is soon to come from early spring plantings. To keep this beauty and bounty coming, I’ll soon plant another bed of beets, carrots, turnips, fennel and radishes that will be ready when the present bed is done. 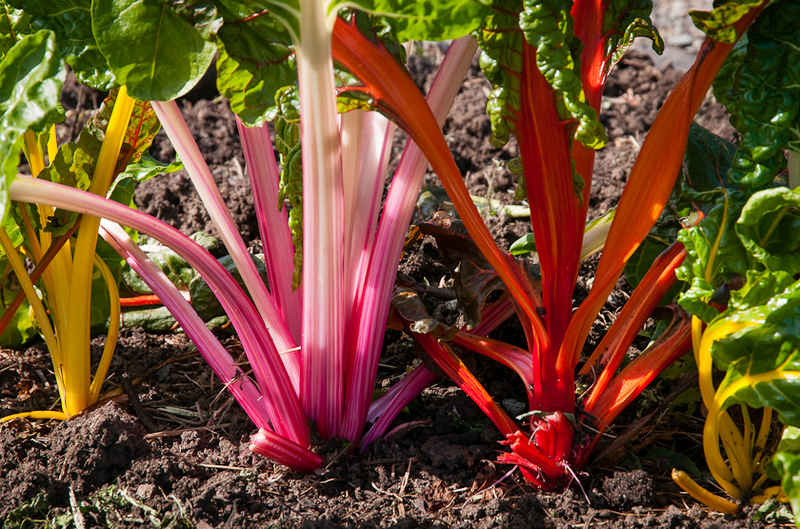 We’re entering the season of succession planting, a wonderful excuse to be outdoors in the garden.